Home » Car depreciation – What is it and how can I avoid it? Did you know your new car loses 10-11% of its value the moment you drive it out of the dealership? In fact, according to consumer watchdog Choice, new cars depreciate by an average of 14% in the first three years of ownership, then up to 8% after that. Thankfully, there are some simple ways you can minimise your rate of depreciation while maximising your resale value. Here’s how to make the most of your four wheels over the long term. The more desirable a car is, the slower its rate of depreciation. Research shows Australian buyers are more likely to buy silver, grey, white or black cars, while auto transmission models are far more popular than manuals. Brand awareness also plays a key part, so look for more popular brands with an established market presence (e.g. Toyota vs Great Wall). In the small car market, the Toyota Yaris, Honda Jazz and Mazda2 hold their value well, while Mazda6, Honda Accord and Volkswagen Passat perform well in the family car class. It’s also worth buying old stock at the end of a calendar year, that way the drop in value isn’t quite as steep as with a newly released model. Taking care of your car pays off over the long term, so keep the interior and exterior in good nick. Take care of any scratches, dings or dents straight away and store it in a garage whenever possible. While you’re at it, stick to the prescribed service schedule and keep detailed records for future resale purposes. If you’re serious about avoiding depreciation, look for a car that’s already experienced the first sharp drop in value. Own and drive it for the following three to four years, then sell it at the six to seven-year mark. That way, it’s still relatively new when you get your hands on it, but if kept in good condition, will remain attractive to prospective buyers when it’s time to on-sell. Whether you’re buying new or nearly new, you want to get the best possible deal. For most buyers, that means getting a good deal on the car itself, as well as the finance required to buy it. The lower your rate, the better off you’ll be, so take the time to speak to the experts (like us) and you’ll lose less over the long term. Ready to get started but don’t know where to start? Don’t stress, we’re here to help! 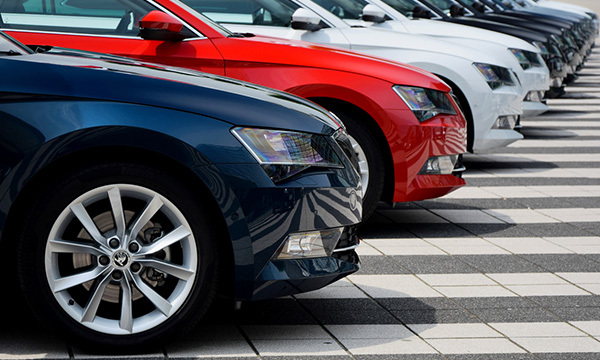 Along with helping you select the right make and model for your needs, we can help you sort out the car finance that suits you down to the ground. For more information, give us a call and we’ll help you start sorting through your options today.